Movies are back! With the change of the season, the anticipation of upcoming holidays and the countdown to Napa Valley Film Festival in November, it’s time to rekindle my seasonal film and wine pairings that will help make your relaxing time more special! With that being said, on my flight back from Portugal last week, I had a chance to watch The Secret Life of Walter Mitty. Originally, I was a hesitant to delve in because I loved the original film starring Danny Kaye and Virginia Mayo (1947). But I’m happy to say that it didn’t take long for me to be charmed by this newer version starring Ben Stiller, Kristin Wiig, Adam Scott, Shirley MacLaine, and Sean Penn. 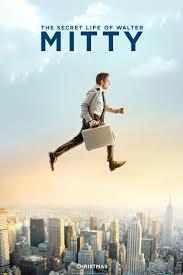 Based on a short story by James Thurber, the film follows the trials and tribulations of Walter Mitty, the man behind the photo images used in Life Magazine, who has a crush on Cheryl Melhoff (Wiig), a woman he barely knows. Amidst his romantic day-dream fantasies about Cheryl, Walter finds himself in a true race against time to find the missing negative #25 which leads him to Greenland, Iceland, and the Himalayan Mountains. Each scene is fun, quirky, and Walter becomes a stronger man along the way. Unlike the original movie, an underlying theme in the new film is focused on skateboarding, a skill Walter mastered when he was younger. In real life, Wisconsin-native Ryan Zepaltas did a similar thing when was a teen. But after ranking at the top of the sport with Tony Hawk and other great skateboarders of his era, Ryan followed his passion for wine to Sonoma County in 1998, where he went on to work for LaCrema Winery and spent a harvest at Villa Maria in New Zealand. Since then, Ryan has become the assistant winemaker for Adam and Dianna Lee at #SiduriWinery, as well as starting his own brand #ZepaltasWines. 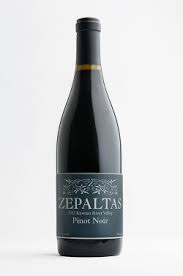 A great example of Ryan’s style is the Zepaltas 2012 Pinot Noir, Russian River Valley ($32), a sophisticated wine with lovely aromas of ripe red fruits, delicate rose petal, lavender, earth and spice. On the palate, the flavors explode with bright notes of raspberry, blueberry, strawberry, cherry cola, mineral, crushed allspice, and plenty of natural verve and enthusiasm all the way through the finish. 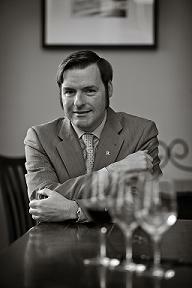 And much like Walter, the wine gets stronger the more it’s exposed to new surroundings. In this case, fine stemware, more air via swirls, and the happy recipients enjoying this admirable gem from Russian River Valley while watching this clever and amusing film directed by Stiller. #imdb #TheSecretLifeofWalterMitty #BenStiller #KristinWiig #SeanPenn #ZepaltasWines #SiduriWines #RussianRiverValley #RRV #PinotNoir #SonomaCounty #NVFF2014 #film #movies #DVD #wine. Previous Post#EatDrinkRock 2014Next PostPremier Cruz tickets available now!